HMD Global launches a few Nokia digital health products, bringing back what was once the brand known as Withings. The two first such products are the Nokia Body scale and the Nokia BPM blood pressure monitor. 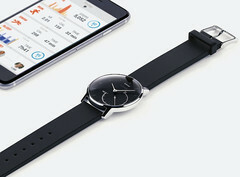 Last year, Nokia acquired Withings. Now, the Finnish brand that has been brought back to life by HMD Global brings a few health-related products to the market that keep Withing's legacy alive. First of all, the Health Mate App is back, while the list of accompanying hardware products includes three Nokia Body connected scales and two blood pressure monitors known as Nokia BPM and Nokia BPM+. All these products feature WiFi connectivity for automatic sync to the Nokia Health Mate app and received clearance from the FDA in the USA, also being compliant with European regulations. The Nokia BPM can be acquired for $99.95 USD, while the BPM+ has a price tag that reads $129.95 USD. The Body scale costs $59.95 USD, the Body+ retails for $99.95 USD, and the top-of-the-line Body Cardio that features exclusive heart health metrics can be purchased for $179.95 USD.